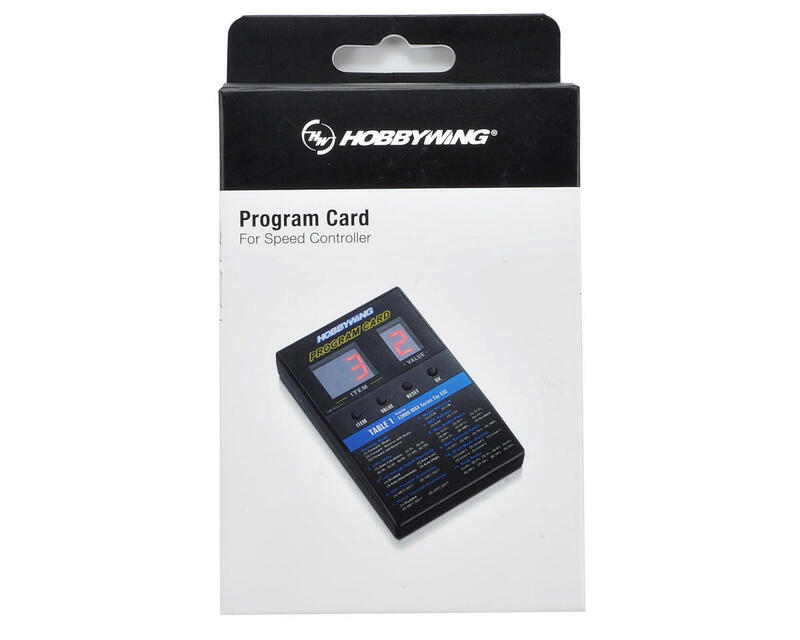 The Hobbywing LED Program Card is used to program Hobbywing XERUN, QUICRUN and EZRUN series ESC's. It features a user friendly interface and is easy to use. 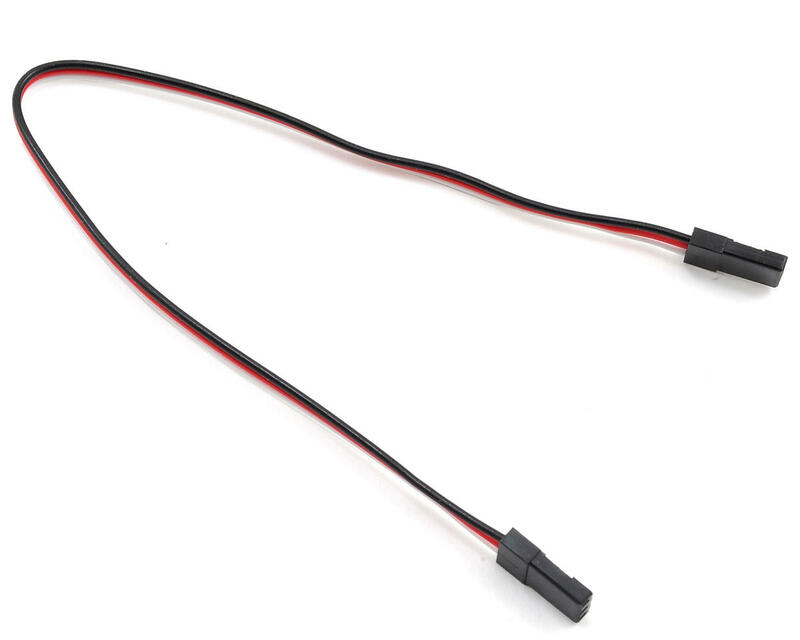 Package includes program box and 3-wire male/male plug for hooking the programmer to the ESC. *This programmer is not compatible with the XR8 Plus. NOTE: If the ESC doesnt have a built-in BEC, you will need to use an additional 6.0V battery to supply power to the program box. 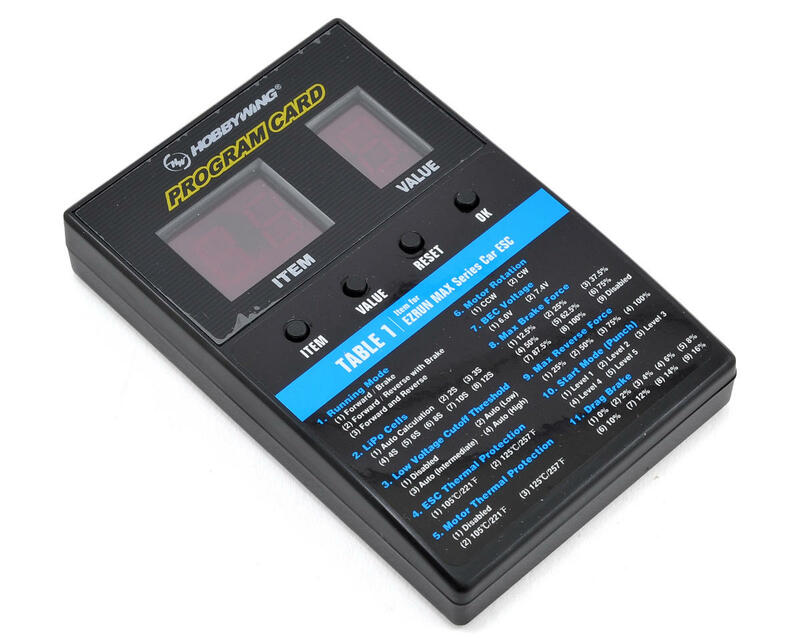 I like this style of ESC programmer as it's easy to read and flip through the settings. My only gripe is that they didn't have a decal specific to my ESC, but I have yet to compare the two included ones match up to the ESC instructions. It's still better than the Castle Creations programmer that it's just lights and a soft card that feels like it's going to break. The HobbyWing programmer is in a hard case that seems ready to hold up rolling around in your pit box.